A new report on North Korea finds that over the last decade there has been a shift in people’s attitudes away from being “passive recipients” serving the regime to being motivated “change-makers” shaping their own destiny. Movies, markets and mass surveillance: human rights in North Korea after a decade of change, by Christian Solidarity Worldwide, cites the willingness of people to take risks in accessing foreign media, and finds that especially young North Koreans “are pushing the boundaries in everything from fashion and dating to enterprise and trade”. The report concludes that “initiatives aimed at improving human rights in North Korea should therefore focus on what we can do to support these change-makers”. For the report, CSW interviewed more than 100 respondents*, including North Korean escapees, journalists, academics and human-rights experts. According to the report, there have been positive changes over the last decade in the areas of the economy, accessible information, critical attitudes towards authority, and human-rights awareness. Religion was a notable exception, with interviewees consistently saying they thought there was “no religious freedom”. One of the most striking changes in the lives of North Koreans, says CSW, has been the shift from dependence on the state for supplies, to widespread reliance on trading in grey markets , such as smuggling goods across the border with China. According to the report, the impact on citizens is that they see risk-taking and rule-breaking rewarded, which undermines the regime. All levels of society are reportedly getting access to information from outside of the country, often at personal risk. “Although much of this information has taken the form of entertainment, rather than factual reports, it has nevertheless had a dramatic impact on North Koreans’ worldview, and has prompted some degree of critical analysis of the state’s propaganda,” says the report. However, respondents thought that there are now more people leaving the country to avoid religious persecution. 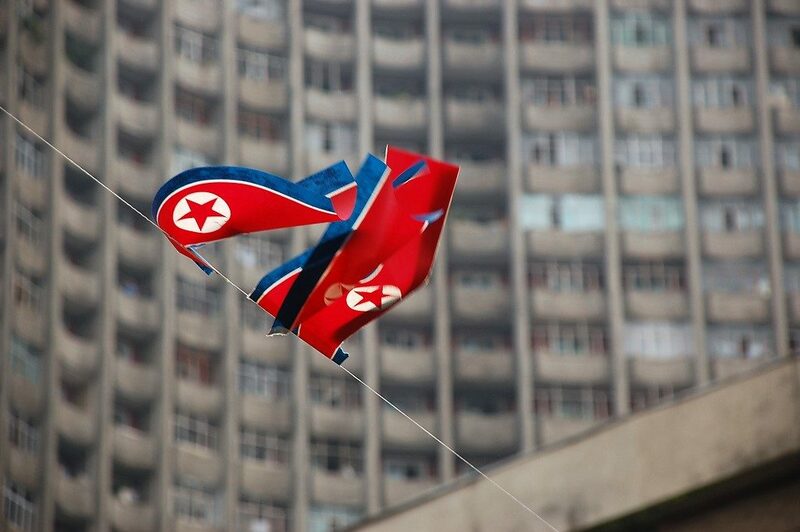 “When it comes to religion, North Korean people just shudder because punishment is very severe,” said one respondent. Another said he had “never heard about God” and had “never met any Christians” in North Korea. None of the interviewees had personally encountered Christianity in the country. Escapees said they believe criticism of the regime has increased – “albeit from an extremely low starting point” – because of watching foreign media. A 27-year-old said: “When we watched dramas with friends, at first we envied the people in South Korea, and then we wished we could go outside [North Korea]. Then we might complain: ‘why were we born here?’” The growing use of USB sticks, which can easily be hidden, has reportedly encouraged this “dissent”. To bring about regime change the report recommends a raft of support from outside, such as scholarships and exchange opportunities. It advises using escapees as sources of ideas for the way forward rather than as “resources included in events solely to tell their story”. It advises projects focused on sending information into the country to target younger people as they are more likely to take the risk of accessing foreign media and share it with others. Interviewees said they believe North Korean officials are open to engaging with UN human-rights mechanisms because of worries about being held accountable for human-rights abuses in the future. At the report’s launch in the UK parliament yesterday (6 February), British peer Lord Alton said: “Much has changed in North Korea in the past 10 years, but the appalling human-rights record has not. More than 200,000 people are incarcerated in the regime’s gulags, where more than 300,000 have been killed over the last 20 years. “There are 30 Articles in the Universal Declaration of Human Rights. It’s hard to think of any that are not being breached in North Korea,” he added. CSW’s latest report is a follow up to North Korea: a case to answer, a call to act, which it published in 2007 with a call for the UN to establish a commission of inquiry (COI) to investigate the scale of rights abuses in the country. The COI was established six years later and, in 2014, published a comprehensive report that concluded that the “gravity, scale and nature” of the violations of human rights in North Korea “reveal a state that does not have any parallel in the contemporary world”. According to Christian charity Open Doors’ 2018 World Watch List, North Korea has been the most dangerous place in the world to be a Christian for the last 17 years.